Thank you to the author for sending me a copy of this book in exchange for an honest review. In a post apocalyptic setting, the Blue is the last city in the world and all is not well. Julia is stuck within it's walls. She serves nobles from a distance, that's until she meets the mysterious Lucas, a young noble who believes in fairytales that Julia just can't believe in. The Blue is a prison to Julia and she'd escape into the Red if she wasn't aware that death and contamination awaited humans. Deep in the Red, Cameron searches for a lost queen but during his search he finds an enemy rising - one that humans have forgotten to fight. The walls of the Blue are coming down and Julia and Cameron must decide what side they are on. The Gilded King is set in the same universe as Julia's paranormal romance series Solis Invicti and at first I was a bit concerned having not read that series. 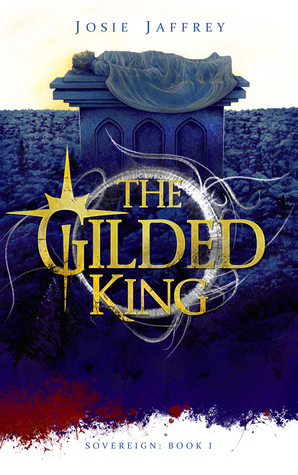 However, I was assured that I could read The Gilded King as a standalone. This assumption was correct for the most part, but I did find it somewhat difficult to understand some references made throughout the book. If I'd read the Solis Invicti series first then this wouldn't have been a problem. That little setback certainly didn't deter me from reading mind you and oh boy let me tell you I had such a blast reading this one! Firstly let me just mention VAMPIRES! It's been a few years since I indulged myself in Vampire YA and it felt so good to finally read one again. What I loved about the vampires (or Nobles) in The Gilded King was that they were so original - they felt human like through the way they acted. Their origin story was also something that fascinated me and I wanted to know more as each chapter went along. It was such a unique twist on your typical YA Vampire fiction and I think that's what kept me hanging on every word. The dual POV alternating between Julia and Cameron kept me on my toes. 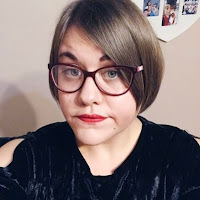 At first I wasn't sure how these two totally different stories would connect, however, come the middle of the book I realised how they would come together and the twist was a shock! Both Julia and Cameron's stories were totally different and I really enjoyed getting to find out about both characters through this unique way of storytelling. Usually with dual POV's I prefer one character to another but with The Gilded King I couldn't choose! I loved both of them equally and I am looking forward to seeing how both characters cross over in the rest of the series. There is some romance in The Gilded King and I was expecting it from this type of YA. Be rest assured though that the romance doesn't deter from the plot or take it over at any point. In my opinion it was just an added bonus and I don't say that often about romance in YA. I like how Julia and Lucas' relationship developed although it was quite obvious it was going to happen. It was also great to see some LGBT themes included with regards to Cameron and his mysterious partner. It was the first time I had read some LGBT romance within Vampire Fiction and I commend Josie for putting it in. The Gilded King was a unique read with lots of turns that kept you hooked. There was action, suspense, romance, drama and certainly plot twists that you wouldn't have seen coming. I for one am really looking forward to carrying on this original series.